Stafford Loans are the primary federal loan for students. Stafford Loans are either subsidized (the government pays the interest while you're in school) or unsubsidized;(interest accrues while you are in school). To receive a subsidized Stafford Loan, you must be able to demonstrate financial need. All students, regardless of need, are eligible for the unsubsidized Stafford Loan. Stafford Loans have a fixed interest rate of 4.29% for subsidized loans and 4.29% for unsubsidized loans. Repayment begins six months after you graduate or if you drop below half-time enrollment. The standard repayment term is 10 years; however, it is possible to get access to alternate repayment terms (extended, graduated and income contingent repayment) by consolidating the loans. The Federal Direct Parent Loan for Undergraduate Students (PLUS) lets parents borrow money to cover any costs not already covered by the student's financial aid package, up to the full cost of attendance. PLUS Loans have a fixed interest rate of 6.84%. A disbursement fee of 4.3% fee iis deducted from each disbursement of a PLUS Loan. Repayment begins 60 days after the loan is fully disbursed, and extends up to 10 years. A modest credit check is conducted to assess the parent's credit history. If a parent is denied a Federal PLUS loan due to adverse credit history, the parent may reapply with a credit-worthy co-borrower or appeal the denial with the Direct Loan Origination Center. If the parent is denied a PLUS loan, the student becomes eligible for increased Stafford Loan limits. Repayment of the SC Teachers Loan is forgiven if the graduate teaches in a critical geographic area within South Carolina as determined by State. Private Education Loans, also known as Alternative Education Loans, help bridge the gap between the actual cost of your education and the amount the government allows you to borrow in its programs. The Newberry College Office of Financial Aid will work with any lender and servicing agency to process a private/alternative education loan for our students. It is important to note that this type of loan is typically more expensive than federal loans and should only be used when all other options, including federal loans, have been exhausted. The terms and conditions of alternative loans vary from lender to lender. We encourage all borrowers to carefully review and evaluate each program. To ensure timely processing of your loan, please monitor your application once submitted.  Each lender’s process varies, but all steps require by the lender must completed before a disbursement can be made to Newberry College. We urge you to carefully consider all of your options before making a final decision. Click here to research and compare alternative loan programs using FASThoice. This tool from Great Lakes Educational Loan Services, Inc, has a private/alternative education loan selection tool that provides basic information on alternative loans and detailed listings of the various interest rates, borrower benefits, fees and repayment options.